Mr. Xinhui Yu, age 34, was sentenced to a 6 years jail term because of distributing Falun Gong truth-clarification materials. 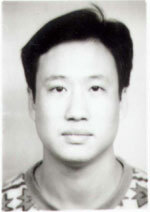 He was a general manager of a hotel in Guangzhou, Currently he is jailed at No. 1 Detention Center in Guangzhou City. The address is No. 9 Shigang Beijie, Chatou Guanghai Rd, Baiyun District, Guangzhou City, Guangdong Province. Post code: 510000. His serial number in jail is B1047597. Mr. Xinxing Yu is currently living at 165 Silver Springs, Scarborough On M1V 1G5 Phone number: 416-335-0158. Mr. Yu is a landed immigrant.